Shine is a wonderful mobile app that brings calm and positivity into its users’ lives. 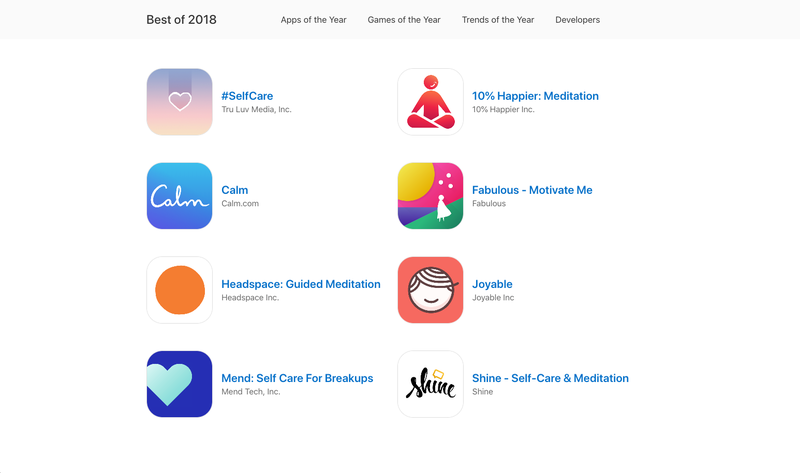 The app is like a pep talk in your pocket, always there on the user’s phone, ready to share a daily text to help you deal with everyday stress or play a Shine Talk - a meditative recording on a subject related to wellness and mindfulness. The goal of Shine is to make self-care easier for all. 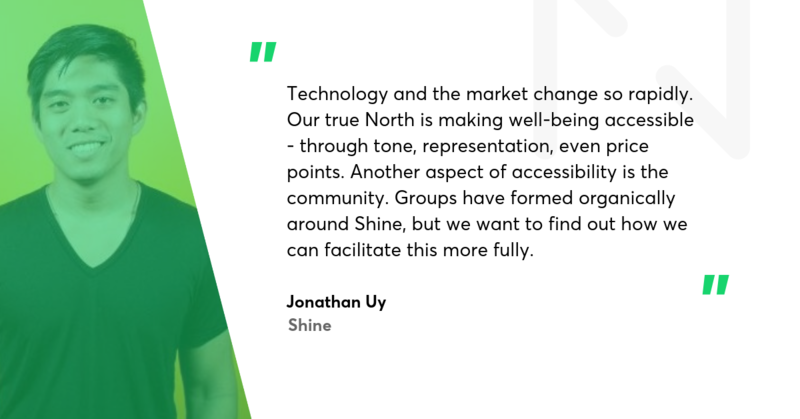 I’ve had the pleasure of talking to Jonathan Uy, CTO of Shine, about the company’s origins, vision, values and future plans. Olga Trąd: What’s are the origins of Shine? Jonathan Uy: The friendship between Shine’s co-founders Marah and Naomi was the catalyst. They would talk about how to deal with tough situations at work and how they could lean on each other for personal issues. This support really helped their well-being. They realised no product offering similar support existed at scale and they tested their idea on a small group of friends. The feedback they got was overwhelmingly positive. People couldn’t believe something like that didn’t exist yet. Who are Shine’s users? Who is Shine for? Shine is a great help in stressful situations. As a company, we want to make well-being more accessible. Not everybody has a supportive friend available during work hours. Shine is a tool for people who want to be more conscious of and intentional about their well-being. Mindfulness is a big topic these days, and many people are ready to take better care of themselves. So we want to be there for them - to help reduce work-related stress, work on relationship issues, but also celebrate the good stuff. Our user base is primarily millennials - I think it’s because content that feels real, like our Shine Talks, resonates with them. Self-care is something you achieve after you have things put together. We don’t want to be a talk-down guru, speaking from the stage. What we’re trying to be is a pocket friend on the go, always available. What do the users get from the app? Before the app, Shine was a free, daily messaging product available via text messages and Facebook Messenger. This was over 2 years ago and mostly in the US. Daily texting is still something we offer, with research-backed tips on well-being and normalising day to day struggles. Other features were developed in response to user feedback. People wanted more, so we created Shine Talks, which are self-improvement audio tracks that cover topics from dealing with stress to getting better sleep to staying motivated around your goals.So many people out there are dealing with impostor syndrome at work, relationship issues or toxic friends. Meditation can help with that and we wanted to help people take care of themselves. This feature takes Shine to a new, more personalised level. I haven’t experienced similar audio meditations before. Shine makes you feel like you are participating. We did a lot of user testing before we jumped into making an app with audio content and the feedback was great. Audio recordings promoting mindfulness resonated with people. Shine was a pocket friend and now we can offer an enhanced version of that, with a human voice. It gave Shine that extra sense of personalisation and connectedness. The way people speak evokes more emotion than plain text ever could. How did you realise that voice recordings were the right way to move forward? We kind of stumbled across a solution that fulfills our users’ needs. It came from us brainstorming on what Shine would be like in other mediums. We did the Voice Camp startup accelerator, which helped us envision audio and voice features for Shine. Is video the next step? Maybe! We’re keeping our eyes open for what to do next. I’ve seen a lot of positive user feedback about Shine. What’s your customer care strategy and process? Has it been important for Shine’s success? It’s definitely important. We are still a small team, but we try as much as possible to hear from our users, though emails, App Store reviews, Facebook and Twitter. We try to get back to people in a thoughtful way. We actively look for feedback, too, for example through user interviews. We keep talking to users and trying to understand what works for them, what they like the most, and this dictates how we think about Shine’s future and our priorities. What’s the best comment you ever got from a user? It’s difficult to single out just one. We have a team Slack channel called #shinelove. When we find good comments on Twitter or anywhere else, we share them there. It’s very validating for the team and shows us that we’re going in the right direction. Many of the comments talk about Shine being right on time to help someone, or Shine reading someone’s mind. Then there are the powerful comments, like users expressing gratitude for Shine being there with them as they worked through difficult issues. It reminds me and the team of the seriousness and impact of what we’re doing. The responsibility is kinda scary but also rewarding. It’s something to be proud of. All members of the founding team worked together previously at the nonprofit DoSomething.org. It was a very formative time, a time of recognising how technology can have a positive impact on daily life. That conviction got embedded in our DNA. We have people working on Shine who trained to be life coaches or worked on personal projects which helped their friends through various issues. There is a lot of passion for wellbeing at Shine, but mostly we just try to be people who care about others. Do you use Shine yourselves? What’s your favourite feature? I read our daily messages, partly because I need to make sure nothing’s broken. After hundreds of messages, each new one still resonates with me. They feel fresh and new, and put me in a better mindset. Our content team does an excellent job. At the moment, I’m particularly interested in Shine Talks. As we’re developing the feature, we listen through the tracks. Usually working through bugs is frustrating, but I feel great after a day of working on Shine Talks! What’s your business model and growth strategy? We have daily texts through SMS messages, Facebook and the app. These are all free. Shine Talkss are available through a monthly or annual subscription. We’ve partnered with influencers, such as Gabrielle Union and Kelly Clarkson. We know there are other levers to pull - more influencers, advertisers, etc., but a lot of our growth has been organic. What is your vision for the future? The plan for the next several years? Hard to say. Technology and the market change so rapidly. Our true North is making well-being accessible - through tone, representation, even price points. Another aspect of accessibility is the community. Groups have formed organically around Shine, but we want to find out how we can facilitate this more fully. How do you define (and measure) success for Shine? We have the typical metrics: growth, engagement, revenue. What we also try to do is define goals that prioritise our individual learning and growth as a team. We want Shine to be a place that’s worth spending 40 hours a week in. How did the development process for Shine go? Was it easy or difficult to find the right team? It’s not the first time we’ve tried to build an app. It was daunting at first. We were thinking that, technology wise, we wanted to use React Native. We knew the audio aspect could be challenging, but the process went really well. It’s one of the better development processes we’ve gone through with an outside company. Process, communication, all of that was excellent. Netguru helped train our own developers. We stuck with the tech we set out for. It’s gone really well. What do you value about your partnership with Netguru? I remember hearing from calls with Netguru’s reference contacts that the experience and breadth of knowledge of the team was great. 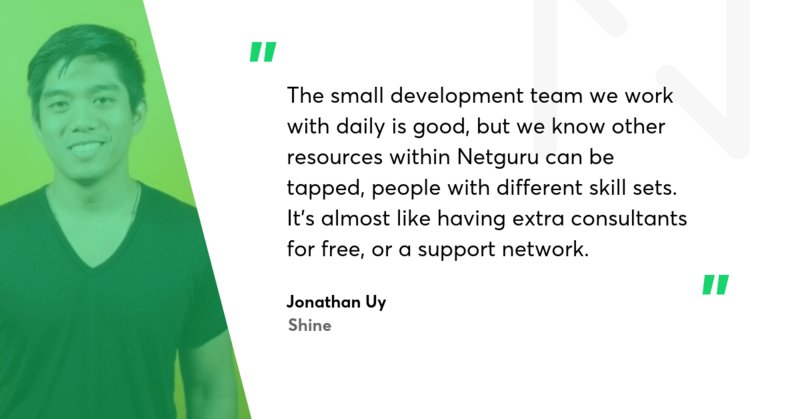 The small development team we work with daily is good, but we know other resources within Netguru can be tapped, people with different skill sets. It’s almost like having extra consultants for free, or a support network. What did you learn from the most difficult or extraordinary experiences you’ve had with Shine? Something that keeps coming up in conversation with the founding team is knowing your people. Knowing who they are, knowing who gets you and supports you, will problem solve with you, constructively disagree with you, and celebrate with you. I’m working at a small startup while growing a new family with kids at home. The challenging moments are so much better with people you enjoy working with.